Memorial services will be 1:00 p.m., Tuesday, December 18, 2018 at Behrens-Wilson Funeral Home with Rev. Julie Norwood officiating. 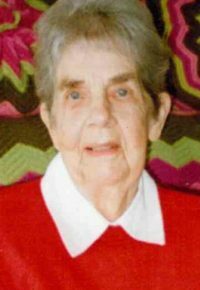 Auraville Rose Newman, 96, Rapid City, died Thursday, August 30, 2018 at the Belle Fourche Healthcare Community. She was born July 25, 1922 in Searsport, Maine to Lemuel and Ruby (Larrabee) Dickey. Auraville was of the Protestant faith. 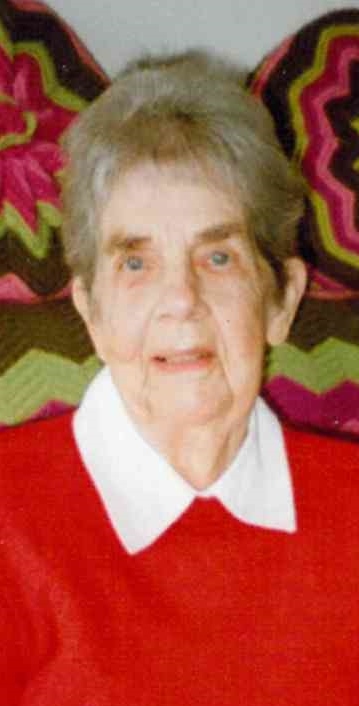 She was an amazing grandmother to Ben and Daniel, spending many hours playing checkers, dominoes and various card games. She loved to attend their school performances whether it was band, choir or theatre. She is survived by her son James and his wife Mary Ellen and 2 grandsons, Benjamin and Daniel. She is preceded in death by her husband Glenn in 1981.